What do the Dessert Springs Motel, Purcell House, and the set of Mad Men have in common? All bore the style of design touted as one of the most highly influential since its inception in the early 1930s: Mid-Century Modern. The design concept of fine lines and simple patterns flourished when Ludwig Mies van der Rohe and Walter Gropius (founders of the Bauhaus movement in the 1920s) moved to the United States to escape the Nazi abuse. This has since greatly influenced the American architecture and interior design until today. 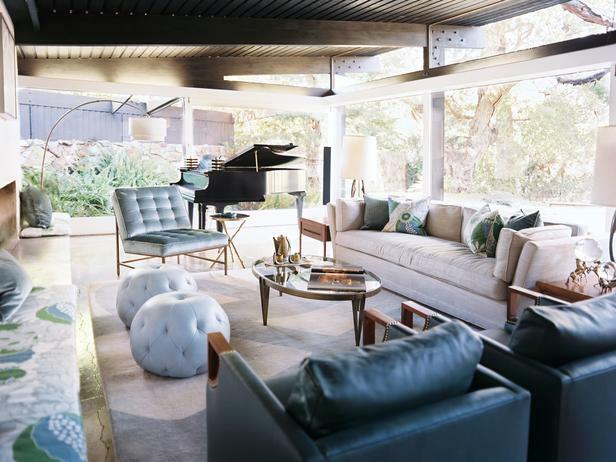 Revival of mid-century modern interiors has been on the rise as of late. There are hundreds of reasons for this, but it all boils down to the appreciation for minimalist aesthetics. Encapsulated in an exterior with an uncomplicated horizontal configuration is an internal splendor with a ménage of impressive features. Simple, but impressive. If you want to embrace this interior design, there are a couple of major elements that you need to know. 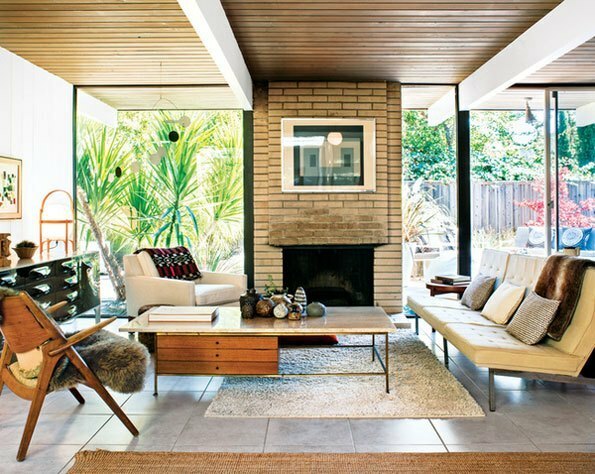 A mid-century modern interior is characteristically designed with an open floor plan. Deep correlation between expansive horizontal and vertical lines is evident in this type of design. In fact, this is an integral design component. There should be minimal to no traffic hindrance. An aesthetic of fine continuity should supersede. Utilization of the area can be quite flexible since no true division exists. You can generate a few intimate sitting areas or a large one for family gatherings. Calculated composition of furnishings is necessary to make the area inviting despite the expansive space. A floating furniture plan will make it such. Group your furniture within an area’s point of convergence and away from the walls. 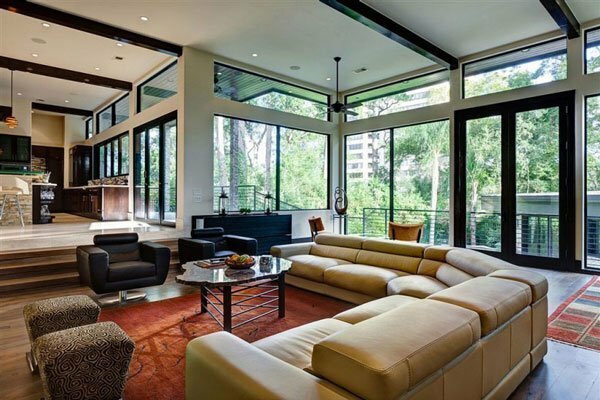 Windows that stretches from the floor up to the ceiling is another mid-century modern home feature. The massive expanses of glass not only brings in a good amount of natural light, it also provides a harmonious tie between the outdoor and indoor setting. Having an unobstructed view of the mountain or sea can be a great privilege, but you also have to take note of a few factors such as cardinal directions or privacy issues. 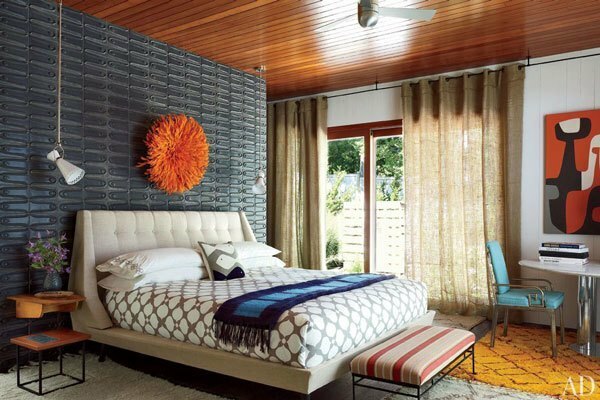 If your bedroom is facing the East, you can tone down the intensity of the sun’s heat by dressing your windows. You can either add curtains or solar shades. Industrial materials such as steel and stucco plus natural elements like wood dominate the interior. The pieces are characterized by simplicity and clean lines with a good marriage of form and functionality. Thoughtfully-designed iconic pieces with simple angles and lines were born during this design era: Hans Wegner’s Wishbone Chair, Eames’ Lounge Chair, Verner Panton’s Panton Chair, Ludwig Miles van de Rohe’s Barcelona Chair, and Isamu Noguchi’s Noguchi Table are a few examples. Wood provides an instant feeling of warmth. Depending on your preference, you can add more wooden pieces to blur out the cold and unwelcoming effect of steel and stone. Remember not to overdo the adornment. Maintain the simplicity of the interior. Striking a good balance between the aforementioned materials plus a few more with high sheen such as lacquer, plastic, and mirrors are great for contrast and depth. Tone-on-tone or similar color patterns are the bedrock of a mid-century modern interior. White, tan, beige, black, gray, and glaucous blue are mostly used. Break the tedium by adding a few vibrant colors that will add interest. Keep them minimal so as not to overpower the place. A yellow sofa, teal lamp, or red side tables are a few to consider. Keep your ornaments sparse, but well-chosen. The pieces should provide a substantial amount of drama without veering away from the theme.